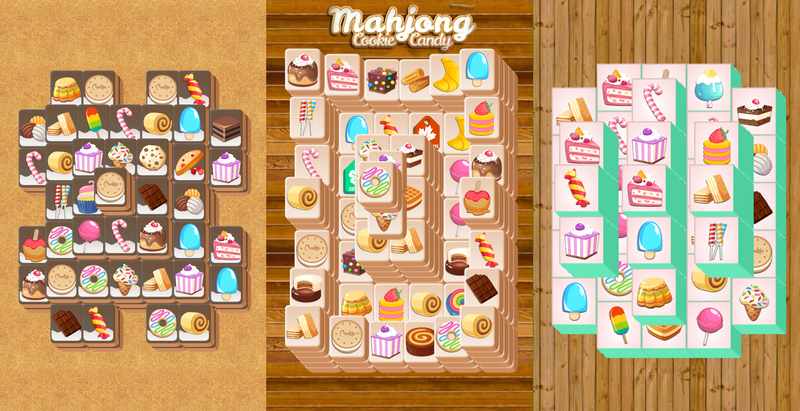 We have just released another entry in our successful Mahjong game series. With cool candy, cookie, and cakes pictures and new boards! This one has been specifically designed with phone users in mind, meaning we use larger tile sizes and smaller board configurations for easy touch screen interaction on most phone screen sizes. If you aren’t familiar with Mahjong, this app can be a good introduction as the difficulty level is easy to medium. Just tap a tile and tap another tile that has the same picture. Match two identical tiles and they will disappear. You win when all the tiles have been removed from the table. The challenge is that some tiles are blocked and cannot be moved until you “free” them (by removing tiles adjacent to its left or right and by removing the tile above them). It may sound simple but picking wrong tiles may create dead end. Following the unique feature of our Mahjong series, we use special algorithms to create random tile placements on every game. The AI in the algorithm ensures that the board is always solvable if you make the correct moves. The app is available for free download (all levels are playable without In App Purchase).